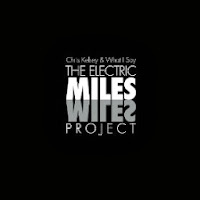 The Electric Miles Project is a choice collection of tunes, showcasing the instrumental and improvisational prowess of the group. The powerhouse first track features excellent contributions from guitar and sax. The follow up 'Mad Love' is a smartly arranged original that draws its inspiration from Davis' more ambient and atmospheric motifs. Some other stand out tracks are the sitar flavored "Ife" and hard hitting interpretation of "Sivad" … and that just about covers the whole album. A few weeks ago I wrote about two dark and turbulent free-jazz/metal albums: Slobber Pup and Black Host. 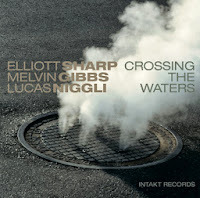 Both are aggressive and uncompromising albums, and to that list I submit Elliot Sharp, Melvin Gibbs and Lucas Niggli's Crossing the Waters, a power-trio that balances heavy rhythms with atmospheric ramblings and inventive melodies. Sharp's guitar is fierce, slathered in effects and could just as well be emitting fractal visualizations as it does musical notes - hell, maybe it is. Gibbs is fierce as well, his bass a rumbling and effective counter weight to Sharp's flights. Niggli anchors the group, sitting snugly in the middle of the trio, providing the right amount of percussive pounding and momentum. 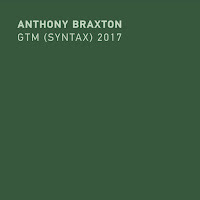 The Intakt website explains that this recording came out of a one-off show at the Stone in NYC. 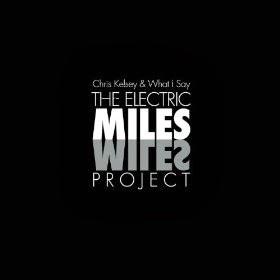 The very next day, the three got together in the studio and created this incredible blend of avant jazz/rock/whatever. Indeed it is all fingers and tongues on this excellent release by Swiss guitarist Yves Reichmuth and bass clarinetist Lucien Dubuis. 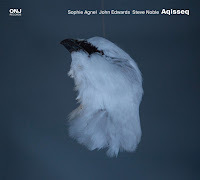 Starting with the tension filled triplets that give 'Der Scharlatan / "...L'invisible Chemin" / Spine' its drive, the group launches into a hard hitting improvization that barely lets up until segueing into the next movement of the piece. But fear not, the gentler nature of the second movement is quickly twisted around by Dubuis' fearsome bass clarinetting (I'm hoping that I made that word up). You may know the bass clarinetist from his work with his own trio and some other groups, where his playing offers deep pockets and expertly wielded wild abandon, Reichmuth is a new name for me but he has a great partner in Dubuis, as his playing is both rhythmically engaging and textural. The rest of the group is Silvan Jeger on bass and Lionel Friedli on drums. 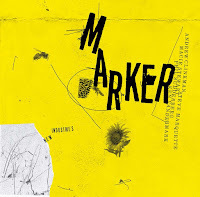 One of the alluring aspects of this album is that the group veers between jarring grooves, atmospheric minimalism, melodic interludes and experimental sounds. Don't let the first few moments of the opening track fool you! The tasteful string quartet introduction doesn't last that long. 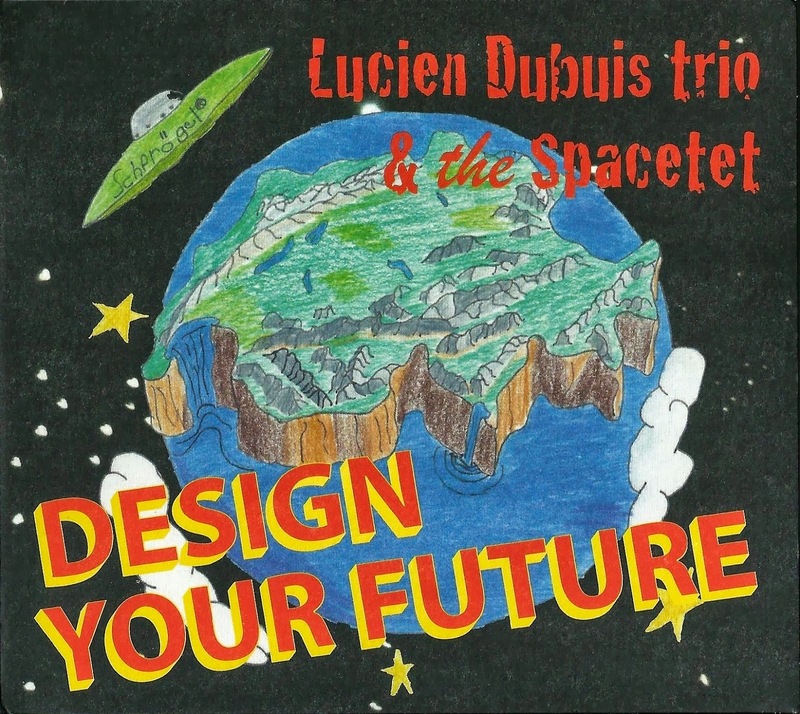 Dubuis' low reeds and commanding syncopations wrests control from the strings quickly, and they are only to happy to oblige, adding a layer of Kashmir like intensity. Design Your Future announces itself loudly. It's not all about dense grooves and pushing instruments to their limits. 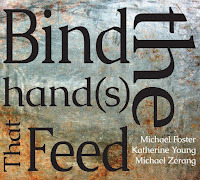 Counter melodies and the unusual arrangements of the string quartet bring a lot of atmosphere to the recording. They help add a dash of Raymond Scott like cartoon freneticism to 'Au Bois' and sonority and motion to the movements of 'Suite En Eb'. Dubuis' low reed playing is ever enjoyable. and the rhythm work of bassist/guitarist Roman Nowick and drummer Lionel Friedli is pitch perfect. 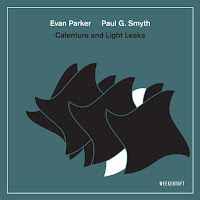 The inclusion of the Spacetet string quartet piece string ensemble brings an enjoyable and new dimension to this trio's work. The Spacetet is Estelle Beiner and Regula Schwab on violin, Isabelle Gottraux on viola and Barbara Gasser on cello. 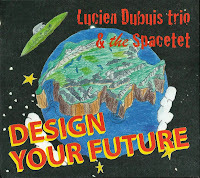 The Lucien Dubois Spacetet album that is! This is a great album. Should have been 5 stars. I can be persuaded on that point - it gets better and better on each listen!